Do you know that 5.6 million healthcare professionals are at risk of occupational exposure to blood borne pathogens annually, just in the United States alone? Bloodborne pathogens are germs that can cause long-term infections. The most common and dangerous germs you may be infected with are HIV, Hepatitis B Virus (HBV) and Hepatitis C Virus (HCV). Currently there is no known cure or vaccine for HIV. You may be infected with blood borne pathogens if you cut yourself with a scalpel, or get stuck with a needle or other sharp objects, that haves touched the blood or body fluid of a person who has one of these diseases. In a previous blog post, we have also discussed the top 5 aftermaths of a scalpel injury that may make you cringe. Now, how big is 5.6 million? It is the entire population of Singapore in 2016. And as we have learnt, sharps injuries can happen to anyone, and can happen anywhere. Nurses are at the highest risk of an occupational exposure to sharps injuries, followed by doctors. Downstream staff such as housekeeping and laundry personnel are also at risk of sharps injuries. Although there are now regulations to protect health care professionals from the risk of bloodborne pathogen exposure, there is a lack of education and training being conducted about these regulations, which may lead to low regulation adherence on bloodborne exposure. Not sure where to start? Fret not. We have compiled a summary of current sharps regulation in the United States, Europe and Australia on bloodborne pathogen prevention in occupational settings. This standard mandates each healthcare establishment has to establish an organisational bloodborne pathogen Exposure Control Plan (ECP). An ECP must be designed to eliminate and minimize employee exposure to bloodborne pathogens. The ECP must be reviewed yearly, technology used to minimise exposure to bloodborne pathogen must be documented, and a copy of the ECP should also be available to all employees. When planning for an ECP, an employer should consult employees responsible for direct patient care, for example nurses, who are potentially exposed to injuries from contaminated sharps. Furthermore, this regulation provides specific provisions on handling sharps, such as recapping or removal of needle that must be accomplished through a one-handed device, and that re-usable sharps should be placed in puncture-resistant, leak-proof containers. What happen if you do not follow the regulation? The cost of violating these requirements can vary by case and severity. 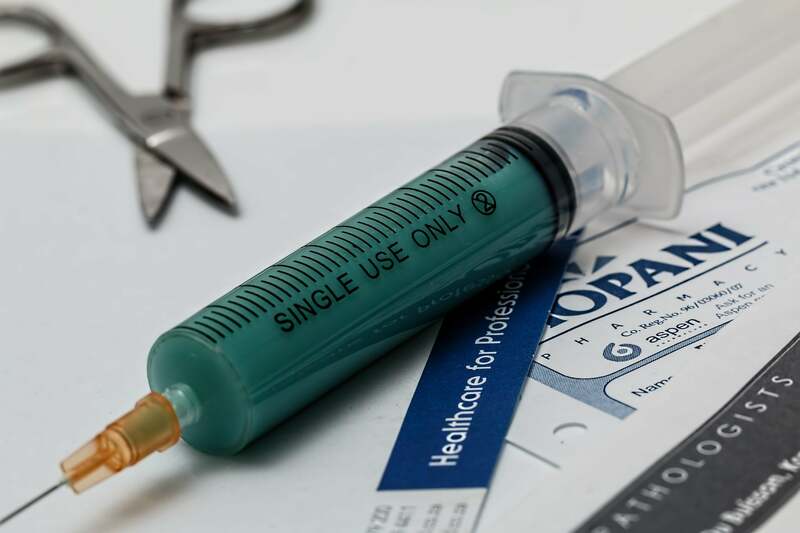 Currently, OSHA fines hospital and healthcare providers for sharps injury violation at USD12,675 per violation, and USD12,675 per day if you fail to abate the violation. For example, in 2016, 12 UPMC hospital faced $451,000 fine for mishandling untreated medical waste, including body dressing, needle and body fluids. Repeated violation? Get ready to pay 10 times more, at $126,749 per violation. The fine does not include fines from other agencies. In Europe, Directive 2010/32/EU outlines a framework agreement to prevent sharp injuries in the hospital and healthcare sector. The agreement is signed between European Hospital & Healthcare Employers’ Association (HOSPEEM) and the European Public Services Union (EPSU). This agreement is applicable to all workers in the healthcare and medical industry. Fine enforcement from the Directive varies in individual member states. For example, in Ireland, a person who commits an offence under the Directive can be fined up to €500,000 or imprison for a term not exceeding 3 years, or both. In the UK, Worcestershire Acute Hospital was fined £12,500 plus £9,000 costs after an employee was infected with Hep C from a needle stick injury. In Australia, National Code of Practise for the Control of Work Related Exposure to Hepatitis and HIV (blood borne) Viruses [NOHSC: 2010 (2003)] by Safe Work Australia provides a guideline for managing the risk of blood borne pathogens at the workplace. A comprehensive prevention plan, safer medical devices and better staff education can prevent most sharps injury. Regulatory requirements enforced in the US, Europe and Australia ensure employers in these countries take steps to minimise and prevent healthcare workers from being exposed to bloodborne pathogens. As a healthcare worker, it is your right to work in a well-protected environment and your responsibility to voice out when things are not right. Only through communication and reporting of unsafe practices, will we be able to learn from past events and develop a thorough strategy to prevent them from happening again.